CosmoLex® powered by CosmoLex Cloud, LLC. – is built for one purpose only – to simplify legal practice management. Timekeeping, Billing, e-billing, Accounting, Trust Accounting, Email, Calendar & Task tracking, Document Management, and a Secure Client Portal – all in one web-based system that is PC, Mac, tablet, and mobile phone compatible. We take care of the IS and IT, so you don’t have to. Call Elizabeth Certified Accounting Partner/Consultant. CosmoLex have a unique platform of CAP and CCC partners to assist firms to achieve their potential. www.cosmolex.com We were the first Canadian CAP with CosmoLex We now offer conversions for firms to transfer data from a legacy program to CosmoLex. u-Law® by Superfluid Software Inc.
New to me but not new to the community is u-Law® a web-base practice management solution based in Ontario. We are pleased a this practice management technology within our portfolio of solutions. uLawPractice is a cloud-based practice management solution that enables sole practitioners, paralegals and small law firms to be more efficient and access their office ANYWhere, ANYTime, on ANYDevice. Cited as Canada’s most trusted practice management solution, uLawPractice allows law professionals to save time, be more productive, and foster greater control of their practice. Use code CP101 when you purchase online. LexisNexis PCLaw® – provides integrated Time Billing, Accounting, Calendaring and Practice Management software for law firms that have 1 or 100 lawyers/timekeepers/users. Features Include: Daily Activities including setting up Matters, adding Time/Fees, Client Disbursements, Trust, and General Bank entries. Accounting Activities for Firm expenses such as Payables and Payroll. Monthly Activities including reconciling banks and production of Financial Reporting. As of June 1, 2015 Licenses are charged by User/Seat with the primary and each subsequent User/Seat and is completely grow-able with upgrades or additional seats. AMP’s can vary based on prorating your renewal date with a base amount for the primary another amount for each additional seat annually. Think of this as software maintenance and entitlements for upgrades is crucial to keep current as past versions retire. Working on a new LPC or Law Office Association or Partnership. Elizabeth has prepared custom GL structures to suit your tracking needs. Buy though this CIC to receive up to 10% of your purchase in Training Credits. We have also been approved by the LSSK for CLE credits for PCLaw Training. Trusted since 2001 an Off-Site, Automated, Remote Back-Up solution. You have all the infrastructure already however it is important to mitigate risk factors for the crucial data that your firm requires. An easy to use Graphical User Interface that allows you to configure, restore or add new file folders to the back-up. 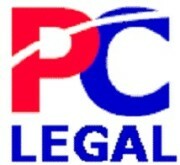 PC-Legal Consulting Service & Training Ltd. will assist and setup the remote backup system for use with the PCLaw Program. WIN2003/Vista x64bit – Basic client 10 GB Plan for $360.00/year. $100.00 One Time setup fee. WINDOWS/x32/x64bit – Advanced client 100 GB Plan for $540.00/year. $100.00 One Time setup fee. If you have been using this remote backup program and have had a disaster. Click this next link to access your files. You need Adobe reader to read this document.